RALEIGH, N.C.- One of the nation's largest general contractors, McCarthy Building Companies, Inc., is collaborating with PrecisionHawk, a provider of enterprise-grade, commercial drone technology, to help scale its growing drone program. Using PrecisionHawk's open software architecture, the companies will develop custom software and algorithms, to empower the construction industry using aerial intelligence. Generate as-built 3D models with photogrammetry data and integrate those models across all phases of a project from pre-construction to project hand-over. 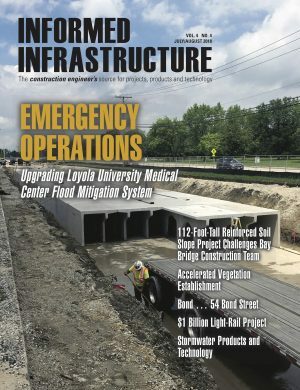 "It is our aim to build a process that can automatically generate as-built 3D models with photogrammetry data and integrate those models across all phases of a project from early in the design phase through construction completion and turnover," said McKenzie Lewis, McCarthy field solutions manager. "As drones become an increasingly important technology tool in our process, PrecisionHawk brings experienced and sophisticated development and deployment solutions that can scale with our business needs." "For the enterprise, we know the first step to building a drone program is simply proving the value of the technology. But to truly be an industry pioneer, you need to think beyond the ability to fly a drone or create a map," said Jeffrey Freund, VP Construction Services at PrecisionHawk. "McCarthy understands that to lead the industry in photogrammetry technology means integrating an entire platform, which includes rapid data capture, intelligence and visualization, into the enterprise workflow. We are excited to bring our expertise in scaling a drone program to support their efforts."